For the letter 'C' I have chosen Hercule Poirot's last case, Curtain. This book is the prime example of a writer's hate for his/her character. Christie it is said got so fed up of her own creation, Hercule Poirot's arrogance and his tendency to inadvertently demean other people by showcasing himself as the best that she wrote a case where the great Hercule Poirot is wheelchair bound and not very majestic. This is the story where he dies a very undistinguished death while facing a serial killer who is a killer and yet not a killer. Confusing right! Read the book to know more and understand the complexities of crime and justice. She wrote this book as gift for her daughter during World War II in case she didn't survive the war. It was kept in a vault for thirty years and published when the author's health started failing. It is said that she wanted Poirot to die so he didn't reach the immortality like Sherlock Holmes. When I read this book, I was saddened for Poirot and then empathetic to the author who saw her relationship with her own creation as a sort of shotgun wedding. After reading Curtain by Agatha Christie, I researched the book and the facts around it. I was surprised to read her essay “Why I got Fed Up with Poirot” where she talks of her fear of Poirot outliving her and cautions new writers of the detective fiction to take care when creating their characters because they have to live with them in a relationship as long as they keep writing about them. This book changed my perception of a character who had always come across as prissy and arrogant and then showed himself to be so much more. 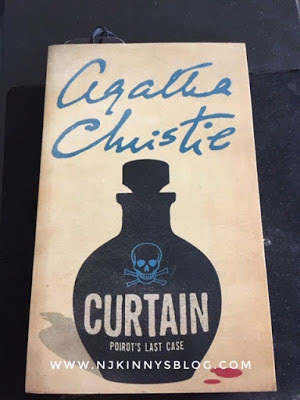 If you read Curtain you will see the softer and an almost apologetic side to the great detective which I think somehow shows the apology from the author who was killing her most famous and illustrious creation. My perception of justice also changed with this book. Sometimes the road to justice is unconventional and almost impossible. 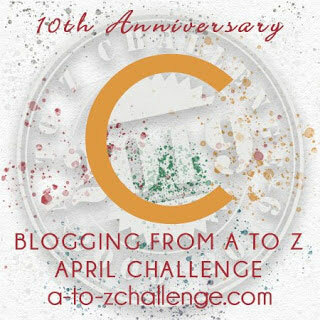 Have you read Curtain by Agatha Christie? Do share your thoughts with me in the comments section below. Come back tomorrow to checkout my Top 26 Favourite Books that influenced my life in some way or the other whose name starts with letter 'D'!